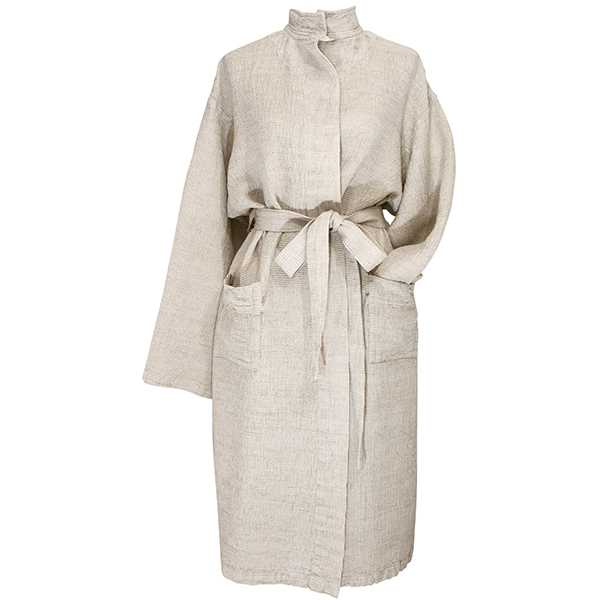 The Terva bathrobe by Lapuan Kankurit is perfect for wearing after a sauna or bath, and the collar button keeps your neck warm when cooling down outside after a sauna. 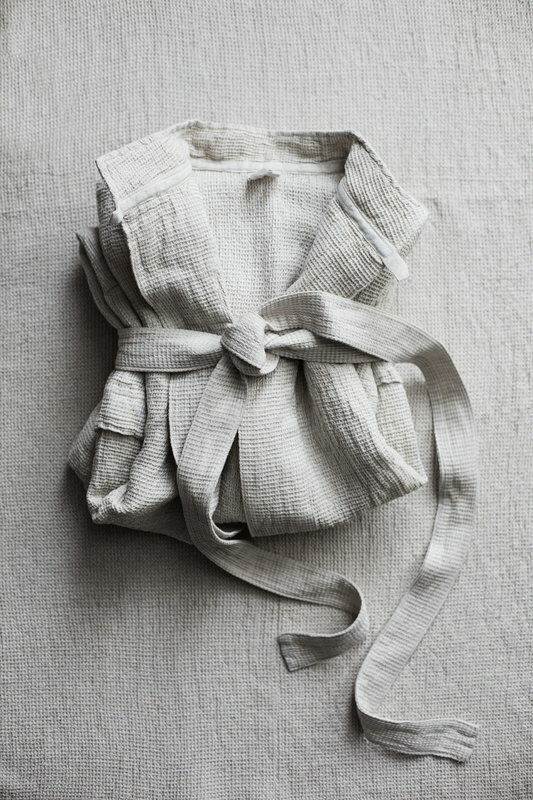 The bathrobe has a relaxed, loose fit. The Terva collection by Lapuan Kankurit features an innovative blend of European linen, Tencel and cotton with Öko-Tex standard. The material is lightweight, quickly drying and highly absorbent, and it feels comfortable on the skin. 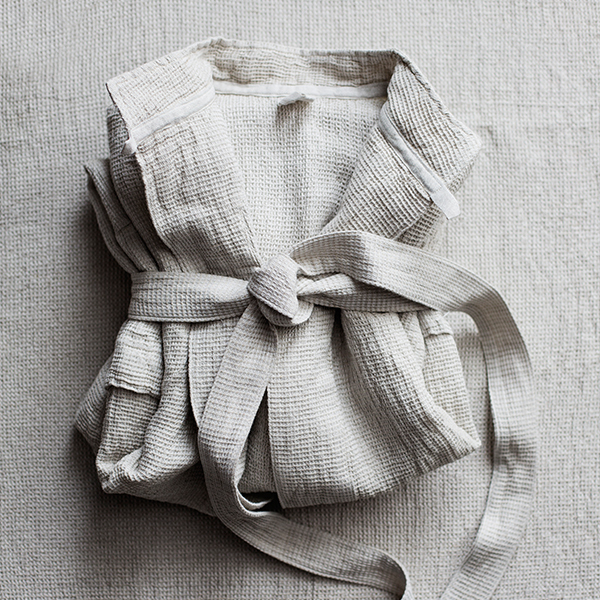 The Terva collection includes towels, sauna seat covers and bathrobes in different sizes and materials, produced mainly in the own weaving mill of Lapuan Kankurit in Lapua, Finland. Size S: back length 103 cm, sleeve+shoulder 69 cm, bust 118 cm. Size M: back length 111 cm, sleeve+shoulder 75 cm, bust 128 cm. Size L: back length 114 cm, sleeve+shoulder 78 cm, bust 141 cm. Size XL: back length 115 cm, sleeve+shoulder 80 cm, bust 144 cm. The designer team of the Finnish weaving company Lapuan Kankurit consists of young, open-minded professionals of textile industry. One of the best-known designs of Lapuan Kankurit is the Terva product family, designed by the in-house team.